American universities are a place of higher education, a place to experience new things, a place to see the world in a different light. It is also a place where sin abounds and darkness surrounds. Spiritually it is a filthy swamp in need of draining. Young people are being indoctrinated and brain washed into believing lies from the devil that there are no absolute truths and that if it is good for you then it certainly must be good. The students are told they must believe that all religions are the same and that there is no proof that God even exists. It is a place of contradiction, a place where logic is abandoned, and a place where there is much confusion and inconsistencies. Through all of this some students still desire to know the truth and have questions regarding eternal matters. That is why Shawn the Baptist goes to Universities. It is because there is a need for the Gospel to be preached and for light of Jesus Christ to be shined into a dark and dying world. "Jesus said, I am the way the truth and the life, and no man cometh unto the Father but by me." Shawn's methods are quite effective and he has a real knack for bonding with the students in spite of many opposing him and being intolerant and being judgmental. Some of the students believe that bullying Shawn is acceptable or even hating on him is ok. In spite of the students response Shawn loves these kids dearly. 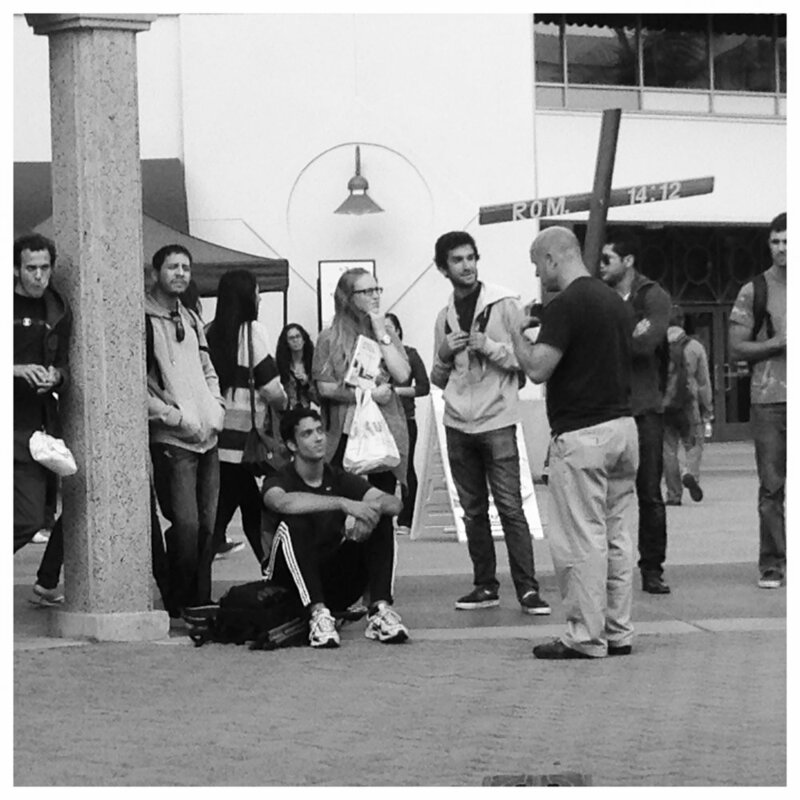 He answers questions, sings, hands out Gospel literature and Bibles, and proclaims the truth of Jesus Christ into a world where relativism is the crowned king and where students are enslaved to sin. There is a verse in the gospel of Luke Chapter ten, verse two where Jesus is clearly speaking to his disciples as to how to approach ministry. It is a bold statement of vision, commission, of direction. This is what he said, "Therefore said he unto them, The harvest truly is great, but the labourers are few: pray ye therefore the Lord of the harvest, that he would send forth labourers into his harvest." So we need not be dismayed as to what type of world we go into to tell them the Good News. It is a truly great harvest! We however, need to keep praying for more laborers. We need not be lukewarm, or compromised, or watered down in our faith and in lacking the understanding that as Paul said in the Book of Romans the first chapter in the sixteenth verse, "For I am not ashamed of the gospel of Christ: for it is the power of God unto salvation to every one that believeth; to the Jew first, and also to the Greek." This is a ministry where hearing the Gospel is still like hearing the Gospel. Please join Shawn as he preaches to a lost and dying world. These kids souls are at stake!